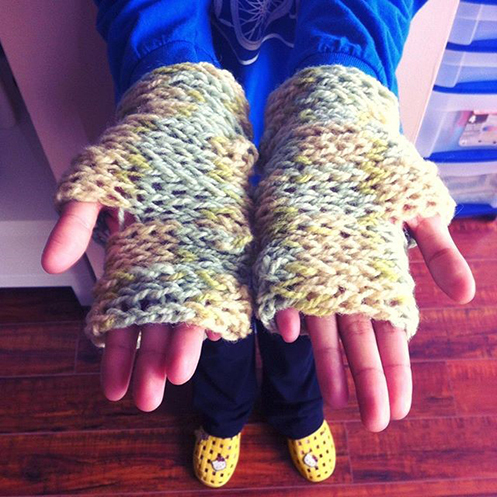 My interest in finger‐knitting was sparked when I was contemplating what project to bring on my trip to the east coast. I didn’t want my needles and project to be confiscated at the airport. A few knitters I asked, and even my good friend who is a former flight attendant, assured me that they have either brought knitting needles on the plane, or seen people knit on the plane. But still, my project was on 3.5mm straight metal needles… I didn’t want to risk them being “misconstrued as weapons”. 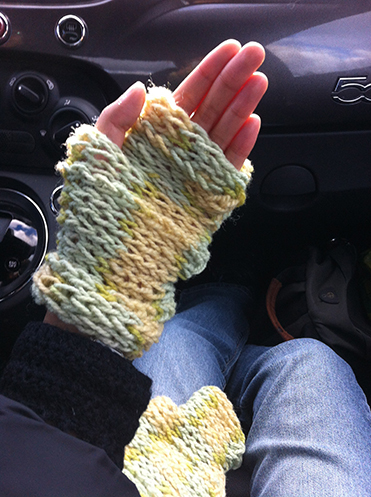 A while ago I also bought Knitting Without Needles by Anne Weil of the beautiful blog, Flax and Twine. 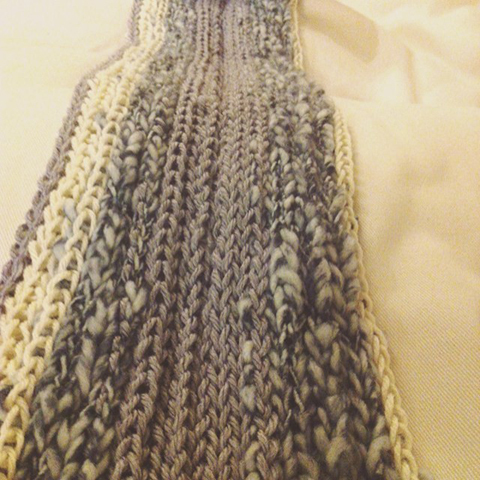 I tried making this finger‐knitted scarf in the book for a friend. 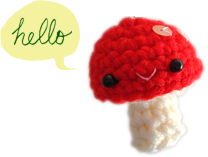 Lately I made a couple of headbands / ear‐warmers for the shop, which also uses a “join as you go” method, but slightly different, and creates sort of a ribbed fabric. And with the same method, I made a baby blanket! :D (for a family member, I don’t think she reads my blog :S) It’s very thick and warm. 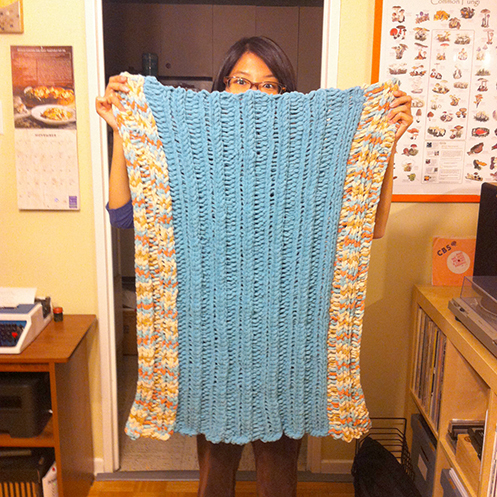 I used 1.5 balls of Bernat Blanket. I like this method because the fabric doesn’t curl relentlessly inward, like the resulting fabric from “join as you go” method from the book. Using the book I’ve also made a couple of bowls. They’re like soft nests. I’m hoping to use them at work to hold stones. 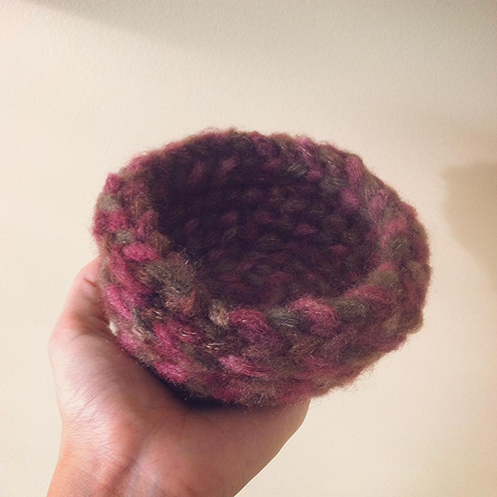 In some ways I actually like the very tactile process of finger‐knitting more than knitting with needles or crocheting with hooks. Especially when making something for another person. There’s something very heartfelt about literally making every single stitch by hand. 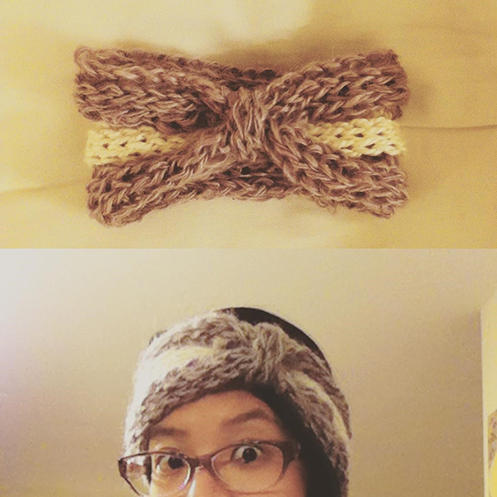 I look forward to sharing more about the headband / ear‐warmers! They’re very thick and warm as well. Wow! I love seeing the creativity!! My favorite project is the headband. It is lovely.